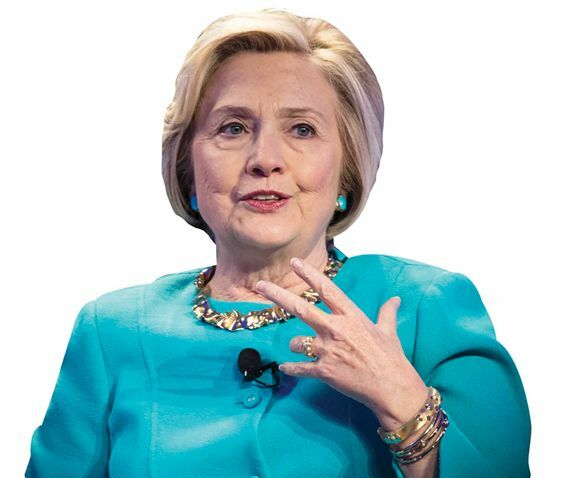 President Trump has “nursed a curious and seemingly indefatigable obsession with Hillary Clinton” throughout his presidency, said Abigail Tracy in VanityFair.com. Trump recently tweeted that the Justice Department ought to look into how Clinton got away with deleting 33,000 emails—“No Justice!”—and last week he added that Clinton aide Huma Abedin should be prosecuted for having stored classified emails on her husband’s laptop. Trump’s Clinton obsession has now taken a darker turn. The Department of Justice, it was revealed last week, has indeed reopened an investigation of Clinton’s email practices. At the same time, the FBI is reportedly reviving a dormant investigation into the Clinton Family Foundation, to determine if foundation donors received special favors from Clinton’s State Department. Trump may not have directly ordered reopening these probes. But the timing lends “credence to growing fears that Trump is pushing to weaponize government institutions against his enemies.” At the very least, said Jonathan Chait in NYMag.com, the investigations are designed to protect Trump from the Russia investigation, and “feed the right-wing news media’s message that Trump’s opponents are the real criminals.” At worst, our vindictive president is trying to turn the U.S. into a Russia-like autocracy, where his political opponents really are locked up.